When embarking on a career in the nursing field, many students may not be aware of the differences between medical assistant and licensed practical nurse (LPN). While these professions share some of the same job responsibilities, there are some key differences in education requirements, job description and average salary between a career as a medical assistant and an LPN career. Overall, an LPN focuses on providing direct patient care under the supervision of a registered nurse (RN) and/or physician, while a medical assistant performs several administrative duties such as scheduling appointments or preparing insurance paperwork in addition to basic clinical tasks such as taking a patient’s vital signs. Another difference between medical assistants and LPN's is job setting and hours. Many medical assistants work in physician’s offices or ambulatory clinics with traditional daytime hours, while LPNs more often find positions in hospitals, nursing homes and even patient’s homes working a range of hours and shifts. When deciding between a career as a medical assistant or an LPN, it is important to be aware of the differences in education requirements for each position. In some cases, individuals may begin a career as a medical assistant with only a high school diploma and no additional education or training required. In these cases, aspiring medical assistants need only find a physician who is willing to provide on-the-job training. In most cases, however, employers seek medical assistants who have completed a formal training program. Many community colleges and technical schools offer medical assistant training programs, which generally take one to two years to complete. Depending on the school, students may be able to earn a diploma in as little as nine months, or an associate’s degree in 18-24 months. Students can often choose from online programs, traditional in-person classroom programs or a combination of the two. Because licensure is not required to work as a medical assistant, aspiring medical assistants can begin working as soon as they have completed their training program. Aspiring LPNs, on the other hand, must begin their careers with a formal training program, which usually takes about 12 months to complete. Similar to most medical assistant programs, LPN programs are offered at many community colleges and technical schools; however, LPN programs require students to complete much of their training in person. While a medical assistant program includes coursework related to administrative tasks such as medical insurance and bookkeeping in addition to clinical tasks, an LPN program is structured around learning necessary clinical skills for taking care of patients. Unlike medical assistants, LPN's are required to pass the National Council Licensure Examination (NCLEX-PN). 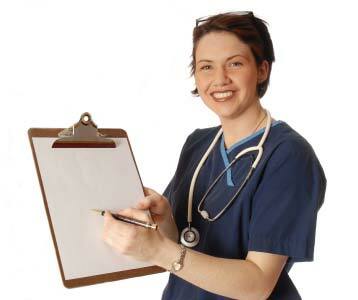 When the exam is passed, candidates will be able to begin work as a LPN. Learn more about LPN classes, courses and curriculum. The mean annual salary for medical assistants was $32,850 in May 2016 according to the U.S. Bureau of Labor Statistics, compared to a mean annual salary of $44,840 for LPNs. Factors that may influence salary levels for both these professions include geographic location, type of employer and years of experience and education level. For instance, a medical assistant or LPN may earn a higher than average salary if he or she works in a location with a higher cost of living and/or has several years of work experience. Learn more about an LPN salary. Assists patients with activities of daily living, including dressing, bathing, using the bathroom, etc. Both medical assistants and LPN's are extremely valued members of the medical care team, providing critical support to ensure patients receive high quality and efficient care. While the positions do share some same basic job functions, the medical assistant provides additional administrative support to a physician or clinic, while the LPN offers more in-depth hands on patient care. Medical assistants and LPN's have different licensing and certification requirements for students to be aware of. LPN candidates will be required to pass the National Council Licensure Examination (NCLEX-PN) following completion of their state-approved and accredited Practical Nursing program. Once candidates have passed this exam they may begin working as an LPN. Medical assistants, however, are not required to hold any similar licensing to begin work as a medical assistant. While many medical mssistant job openings do not require certification, medical assistants may also choose to become certified after graduation in order to increase employment and earning potential. The American Association of Medical Assistants offers the Certified Medical Assistant (CMA) certification examination to candidates who have completed a medical assisting program accredited by the Commission on Accreditation of Allied Health Education Programs (CAAHEP) or the Accrediting Bureau of Health Education Schools (ABHES). 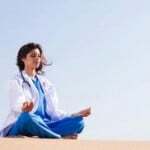 How Does a Medical Assistant Become an LPN? MAs looking to advance their career and become a practical nurse have several options available. Some may attend an LPN program at a community college or technical school. Others may look into online or hybrid programs. Are There Any Medical Assistant to LPN Bridge Programs? Because of their clinical experience as a medical assistant, they will likely be successful in their LPN program. However, not all their prior education as an MA counts towards their prerequisites needed for admission in the LPN program, or for program requirements. For example, pharmacology courses for MAs may not be as in-depth as in an LPN program. Of course, it also depends on the MA program. Some classes, such as anatomy and physiology might be transferable, but again, that depends on the school. Additionally, individual state nursing boards, as well as schools, outline what can be transferred and what can not. Because of the variability, students are encouraged to first check with their state board of nursing- some boards specifically state that to be licensed as an LPN, one must graduate from an approved nursing program. For this reason, MAs should be cautious when searching online for “MA to LPN bridge programs”- they may not meet educational standards for their state. How Long is an LPN Program if Courses Can be Transferred? The time frame for when an MA can become an LPN depends on how many courses, if any, can be transferred. Usually, LPN programs can take around 12 to 18 months to complete. However, for those in a degree program (associates), the time frame can be longer- about two years. This time frame is shortened if courses from an MA program can be transferred. What Types of Schools Offer an MA to LPN Program? There are several options for MAs who wish to enter an LPN program. One benefit of community colleges is that they may offer a degree in nursing for LPN students. Students earn a more well-rounded education in degree programs. Another advantage is that students are closer to earning an RN if that is the end goal of the student. Vocational schools are also an option. LPNs can earn a certificate, and it usually can be completed faster as not many general education courses are required as with an associate’s program. It's an excellent option for those eager to get out into the workforce. Many vocational schools offer online learning as well. There are also online or hybrid options available. This is an excellent choice for working MAs as online/hybrid programs offer more flexibility than traditional campus programs. However, MAs exploring LPN programs should keep a few things in mind. First, some online programs are based in another state, and therefore students should be familiar with their state board licensing requirements. Accreditation should also be a factor- the program may be accredited locally instead of nationally. Also, MAs should be aware that online learning can limit interactions between students and faculty, which some find is critical to their education. Medical Assistants, while performing many nursing tasks, still must recognize that an LPN is an entirely different role- one in which the student needs learn and grow accustomed to. MAs work under a provider's license- physicians, NPs, or PAs. LPNs work under the direction of RNs and under their own license, so the approach to patient care is a little different. Unfortunately, there are no shortcuts in this regard. LPN programs are designed to allow students to not only perform bedside tasks but work up to their scope of practice from a nursing point of view. Jump to SectionMedical Assistant vs. LPN EducationMedical Assistant vs. LPN SalaryMedical Assistant vs. LPN Job DutiesMedical Assistant vs. LPN Licensing & CertificationHow Does a Medical Assistant Become an LPN?Are There Any Medical Assistant to LPN Bridge Programs?How Long is an LPN Program if Courses Can be Transferred?What Types of Schools Offer an MA to LPN Program?